I wanted to share a centre that has been super popular in my class lately! They are constantly asking me if it's open. It is the fishing centre! 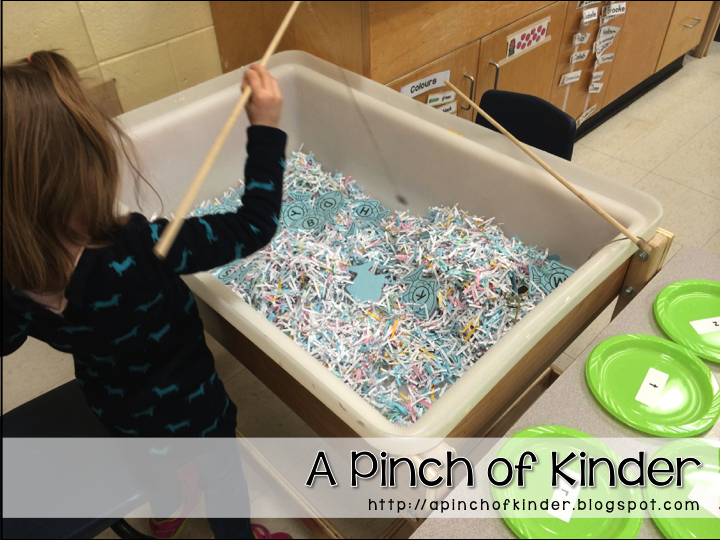 I filled our sensory table with paper from the paper shredder. Then I printed the fish on coloured cardstock, laminated them and cut them out. I put paper clip on the mouth and tossed them in to the bin. and match it to the correct labelled plate. For math we have been working on counting on ten frames and matching it to the correct numeral. For literacy we are working on matching uppercase letters to lowercase letters. This is pretty easy for them so I'm going to switch this out to matching pictures to initial sounds soon! 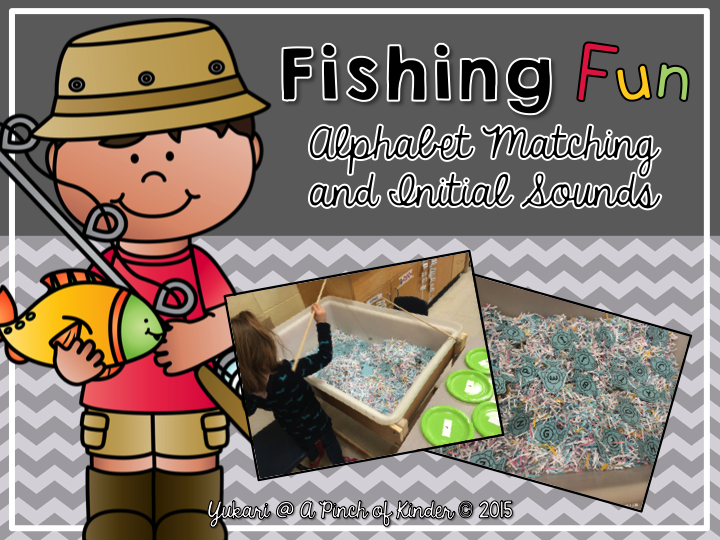 I made a pack with the uppercase fish and initial sound pictures available in my TpT store! and if you want to try the centre out you can download the ten-frame matching game for free in my TpT store too! I hope you can use it and that your students love this game as much as mine do! 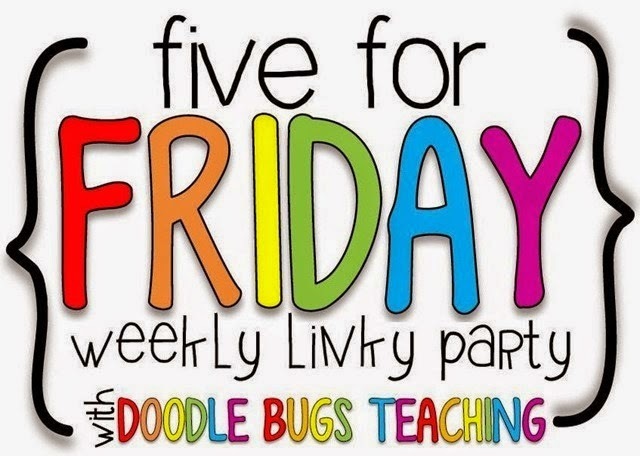 I'm linking up with Doodle Bugs Teaching to share 5 things from my week! 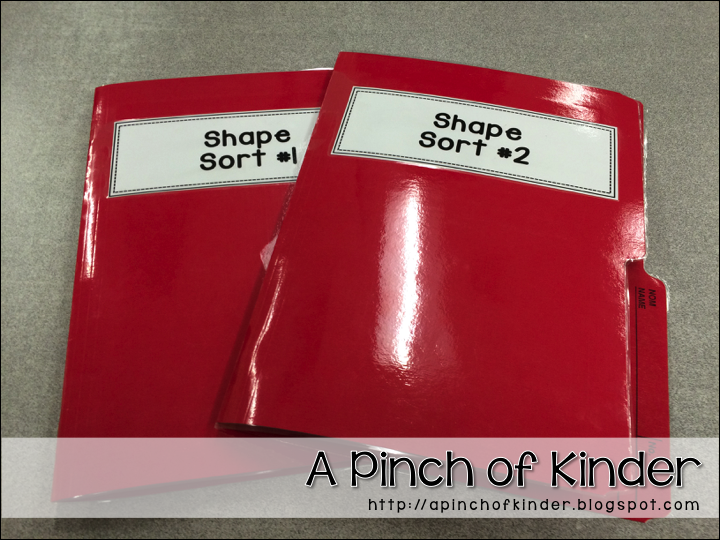 I made two shape sorts so that I can check if the students can sort shapes by a given rule. 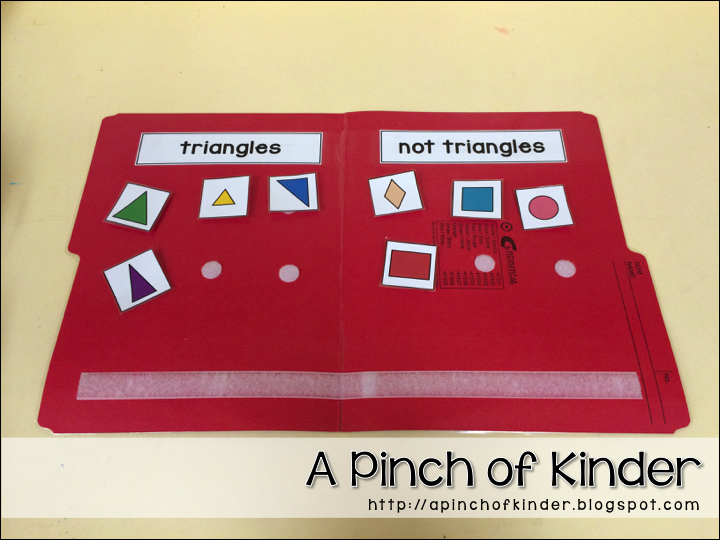 The file folder shape sorts made this part of the geometry assessment so fast and easy! 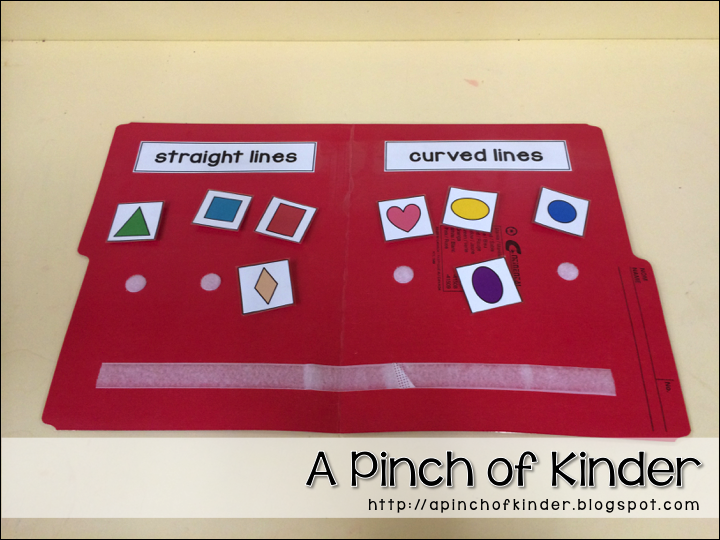 If you could use the labels and shape cards I made, you can get them by clicking here. 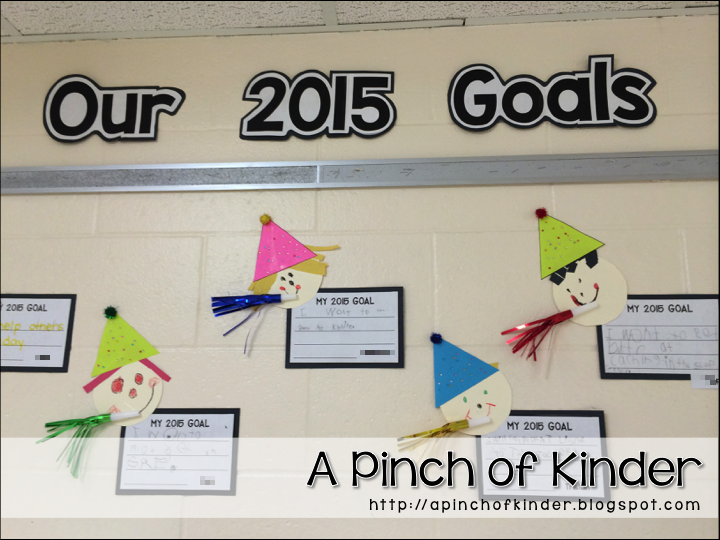 Last week I blogged that I was planning to make these 2015 goal writing and craft. It took all week but we finally got them done!! We hung them up above our cubbies hooks. 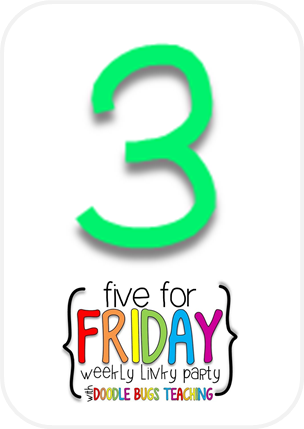 If you would like to have the "template" (I put it in quotation marks because it is a really simple template) for the craft and the writing paper you can hop over to my post from last week by clicking here and you can download it! I got on the Close Reading train in early December and quickly fell off (I'm blaming all of the holiday festivities, crafts, general madness..) so I started again in January! 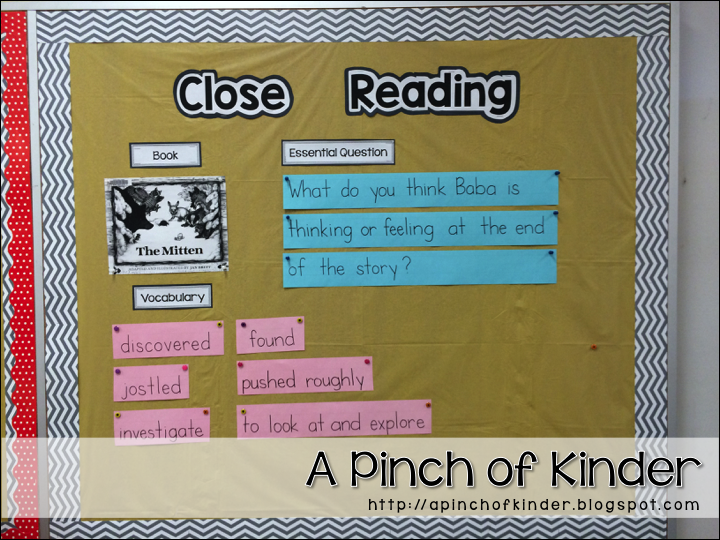 I even designated a bulletin board to keep the important close reading info together. 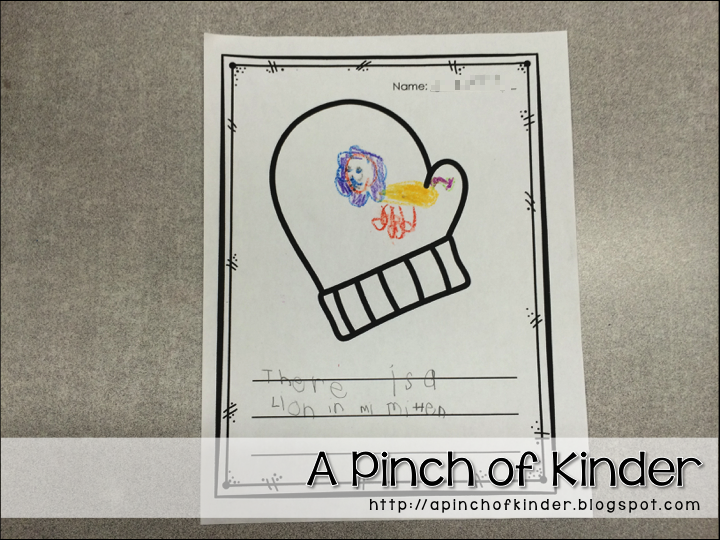 This week we read "The Mitten" by Jan Brett! If you would like the writing page you can click here. One focus for our school and division is to incorporate timely and visible descriptive feedback for student work. This used to be my birthday board but I took it down and made it a "Work that says WOW!" board. I tell students a few centres that they can hand in to my table when they are done and I look over the work after school and write the feedback. Then before literacy or numeracy centres I read the descriptive feedback to them and challenge the students to improve their work. For example this little guy did "Write the Room" the day before during literacy centres. I read to him that I loved how he found all the words and read all the words correctly but one wish I have is for him to use all lowercase letters. He immediately asked if he could do it again during centre time. Of course I said YES! (This is the goal after all!) 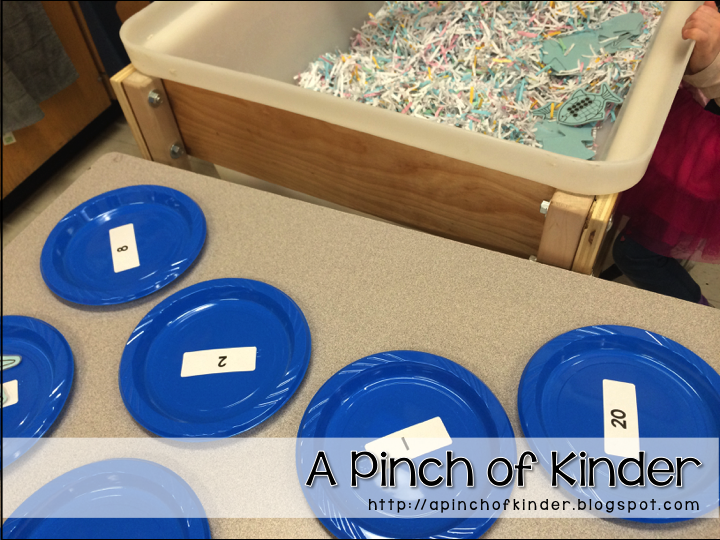 He choose this activity to do again first and completed it with all lowercase letters! I just started doing descriptive feedback this way but I'm hoping that this will encourage some other kids to use the feedback and improve their work! 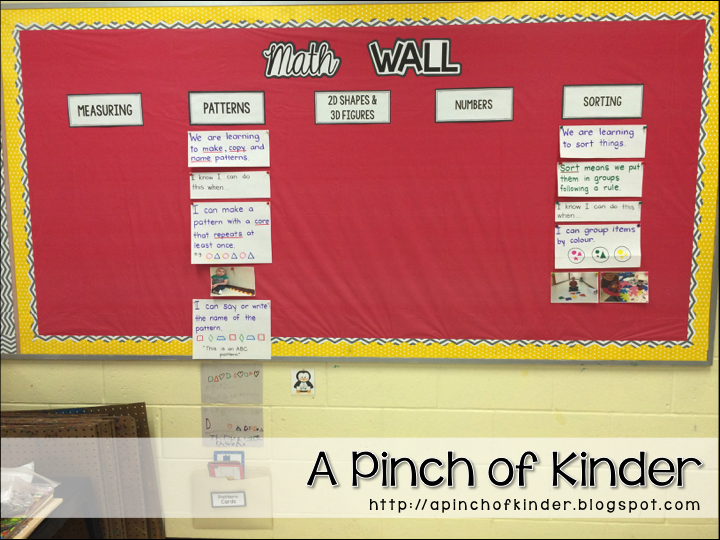 Another focus at our school and in our division is incorporating an interactive math wall. I took down my math wall completely to start this new wall that I hope will be much more interactive and student friendly. We are focusing on using child-friendly language and using lots of pictures of the kids to show examples of the success criteria. We reviewed patterning first and now we are working on reviewing sorting and adding to the sorting column of our math wall! 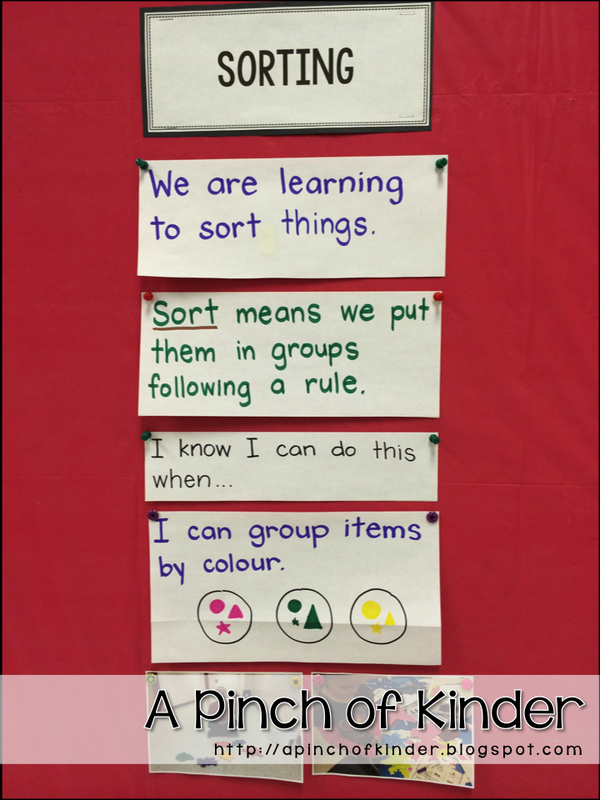 Here is a close-up of the sorting learning goal and success criteria. Next week we will work on sorting by size and shape! 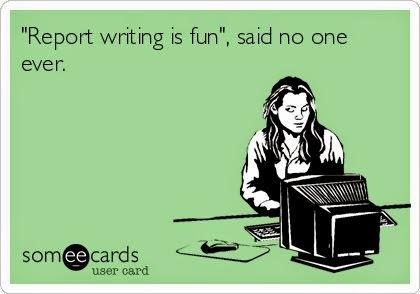 I'm off to lesson plan for next week so that I can work on reports Saturday and Sunday! 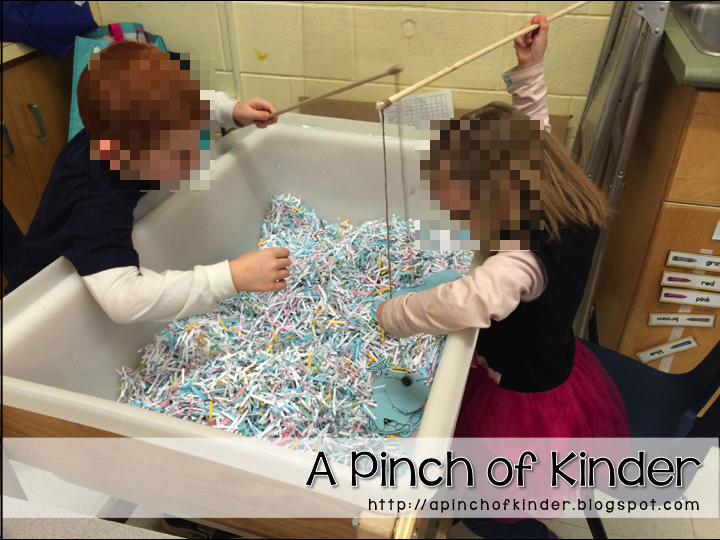 Elizabeth of Kickin' it in Kindergarten is having a fun linky & giveaway on her blog! 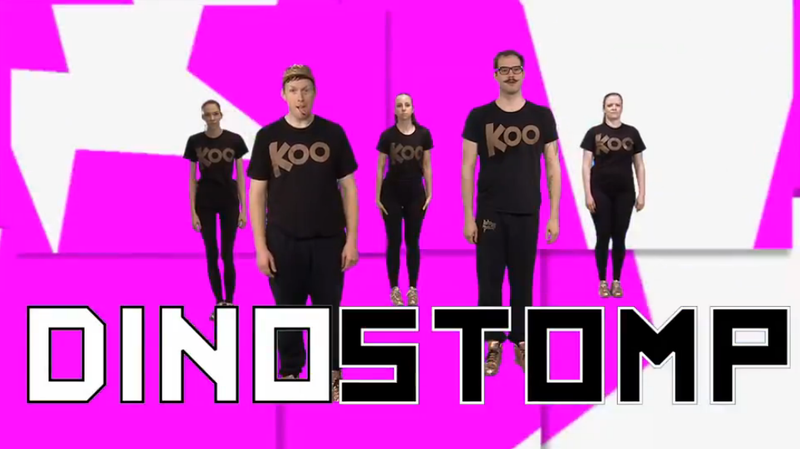 I'm joining in since my kids LOVE GoNoodle! Go Noodle is a part of our everyday routine. 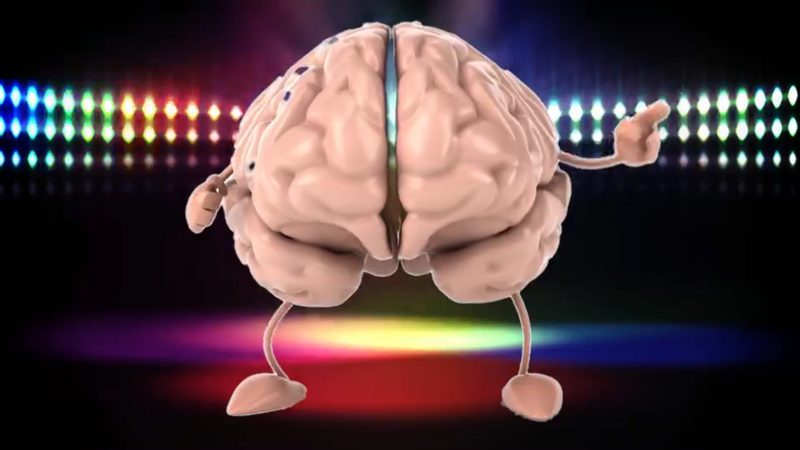 After the kids have morning snack we do 1 GoNoodle dance and the special helper of the day gets to pick the dance. Here is our current champ, Zapp von Doubler! This one is the kids favourite by far! The lunch supervisor uses it for indoor recess as well! We were indoors all week this week (-30 with the windchill on Wednesday!) so GoNoodle was great to let them move around before the afternoon started! I could stay in my bed all.day.long! I tell myself that I'm going to stop watching "The Bachelor" before every season starts but somehow I get sucked in anyway :P Chris has some gorgeous girls on his season! My routine of mass laminating on Monday mornings will begin again so that I can do the cutting while I watch on Monday nights! 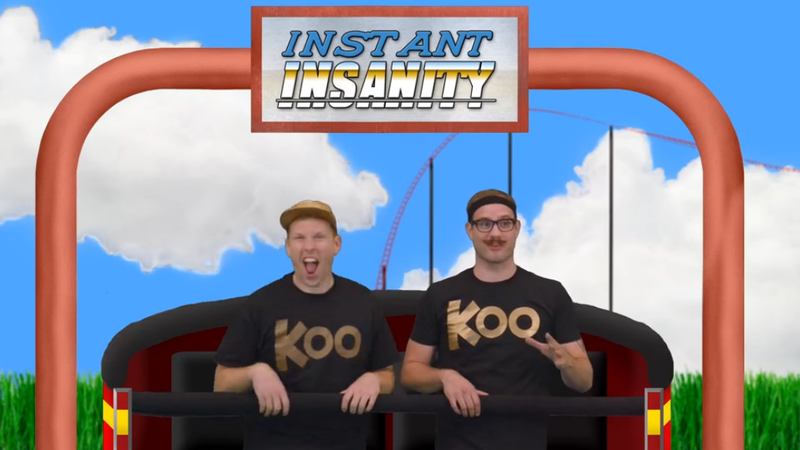 Also Kristen at A Teeny Tiny Teacher does a hilarious recap of The Bachelor every Tuesday. 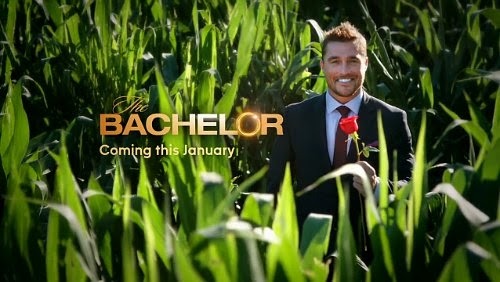 You should check it out even if you don't watch The Bachelor. I'm a long time fan! I have sooo many things I need to make for my classroom. 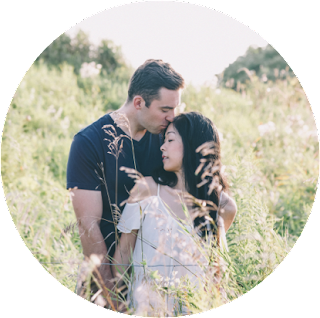 I need to buckle down and finish a few things rather than having 10 things on the go at the same time so I can share them here or on TpT! 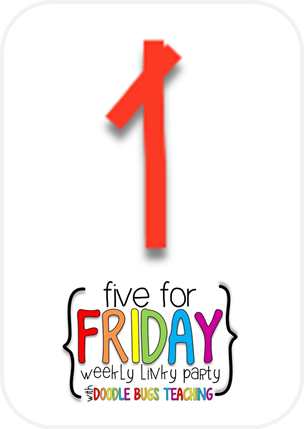 Here is to hoping that I at least get one thing finished this weekend! 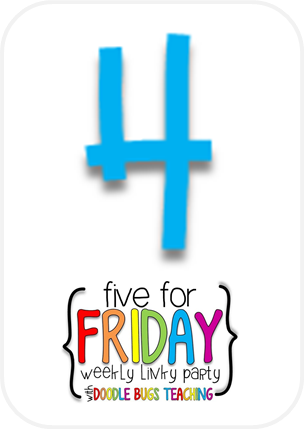 Click on the image below to head over to Elizabeth's blog and check out the linky! 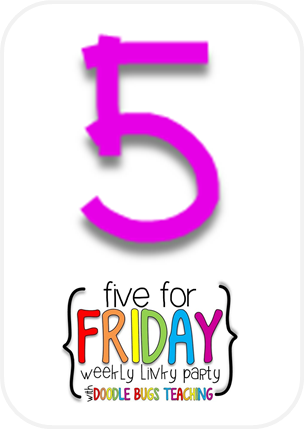 I'm linking up with Kacey from Doodle Bugs Teaching to share five things from my week! Brrr it was COLD this week! We were at almost at -30 with the wind chill on Wednesday! 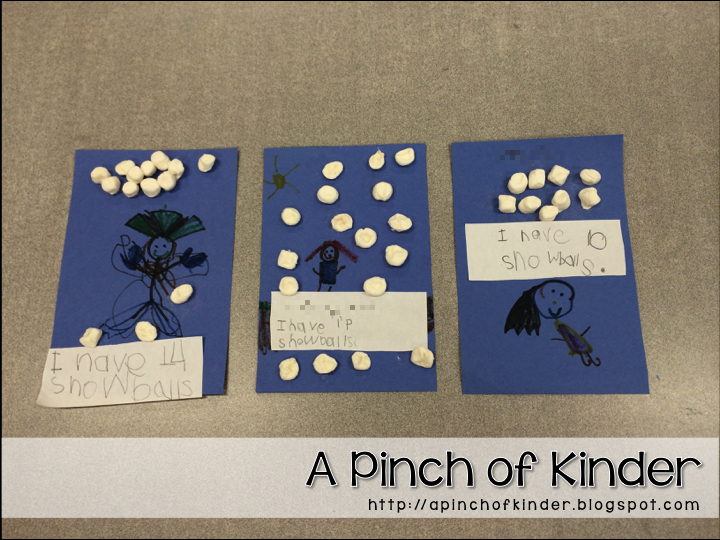 Since we couldn't go outside to play in the snow my ECE had them play with these "snowballs" instead! 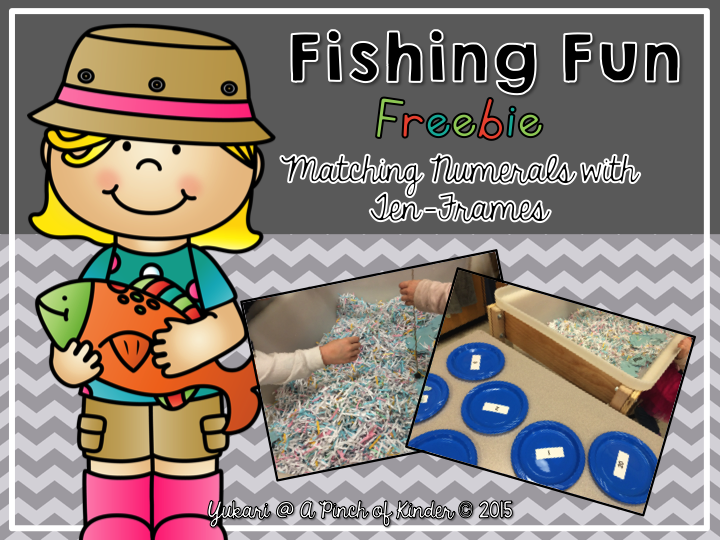 They turned out so cute and the kids LOVED the activity! Plus it helped used up the stale marshmallows from our 3D figure unit. 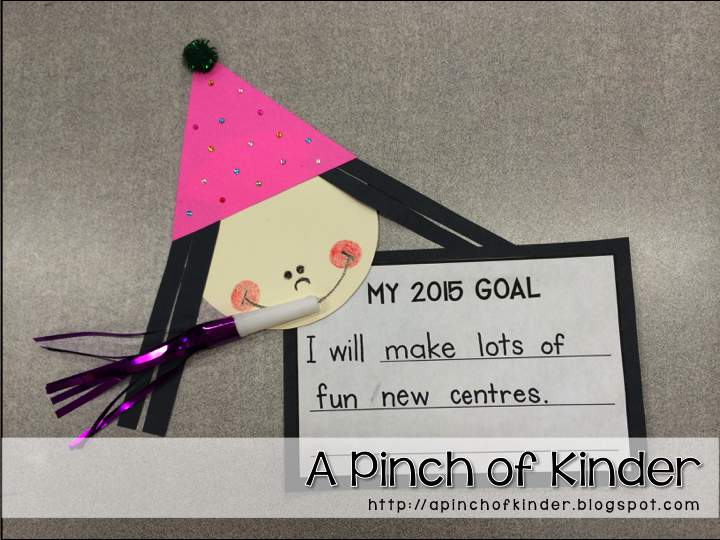 I dipped my feet back into close reading and did a close read on "Squirrel's New Years Resolution" this week! 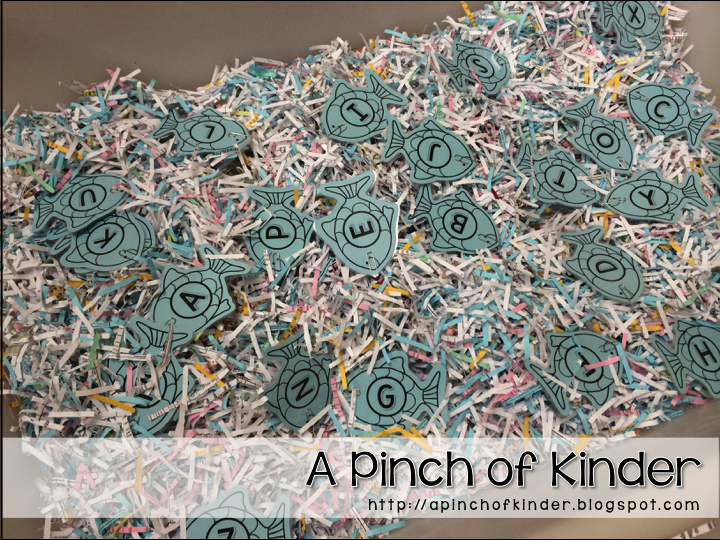 I was planning to do this craft with the kids this week but we only got to the writing portion :( So they are all prepped and ready to go for Monday! If you want the template for the craft (face and hat) and the writing paper you can download it for free by clicking here! 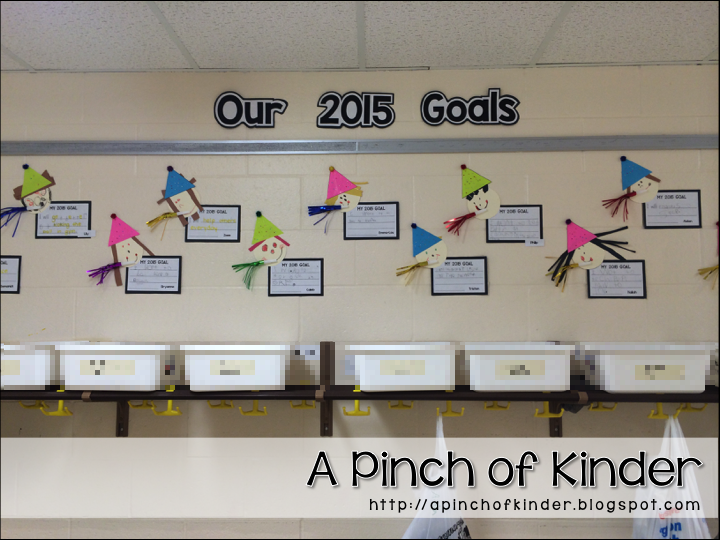 One of my goals this year is to make more sight word centres! 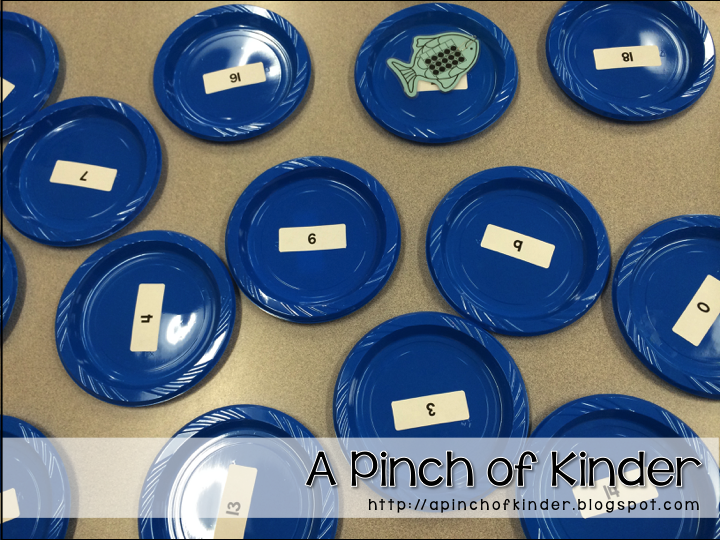 I have lots of alphabet stuff but my kids this year are pretty high and most of them can identify letter names and sounds quite well. This is the first sight word centre that I made! 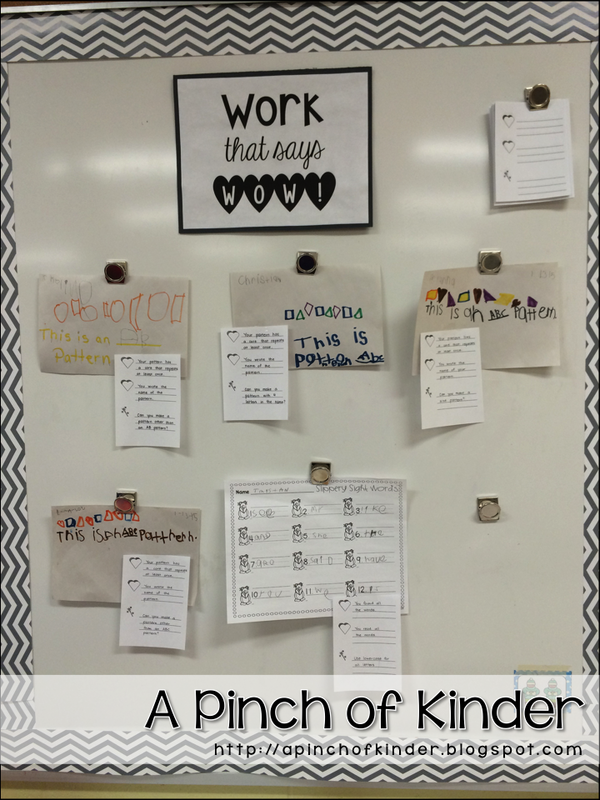 It's a simple sight word bingo but since I want them to play independently I made a few minor tweaks. 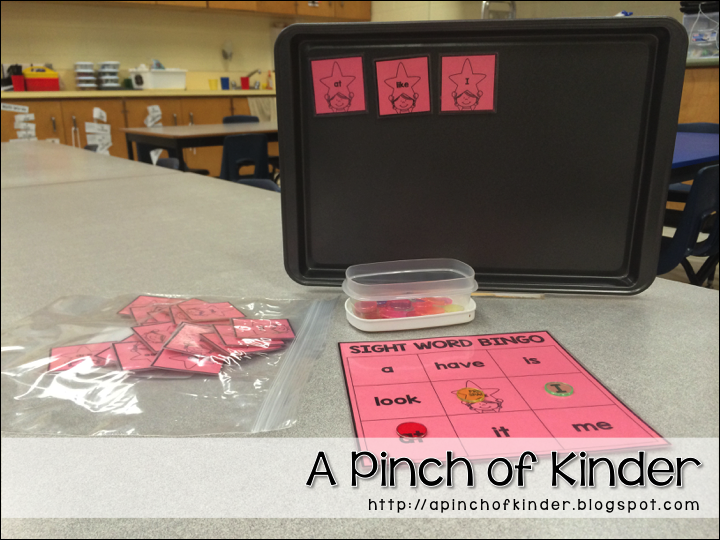 Since everybody gets to be a caller there are no fights over who gets to be the caller and by placing the cards on the cookie sheet the students who don't know the word can look and match the letters. So far it's working great! Since my boyfriend is away all weekend on a guys trip, I'm planning to start and write a good chunk of my reports this weekend! I stress stress stress about writing report cards so hopefully by starting early and doing it in chunks it will be a little less stressful! Here's to hoping! Happy New Year! How is your first week back going? 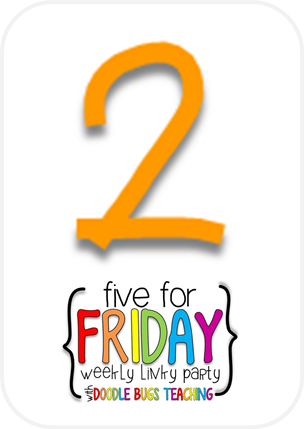 I was scared my kiddos would forget all the rules and routines for school being away for two weeks but they have actually blown me away these first few days! 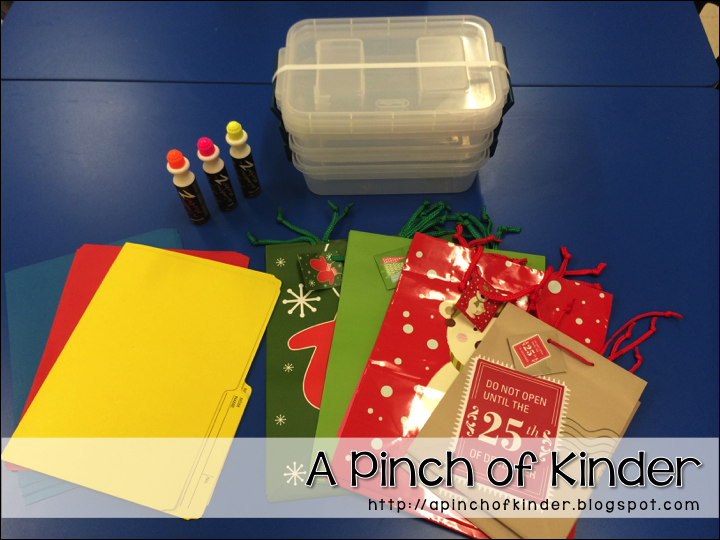 Today I'm posting about some easy peasy crafts that I meant to post in December. I hope you can save them and use them this coming December! 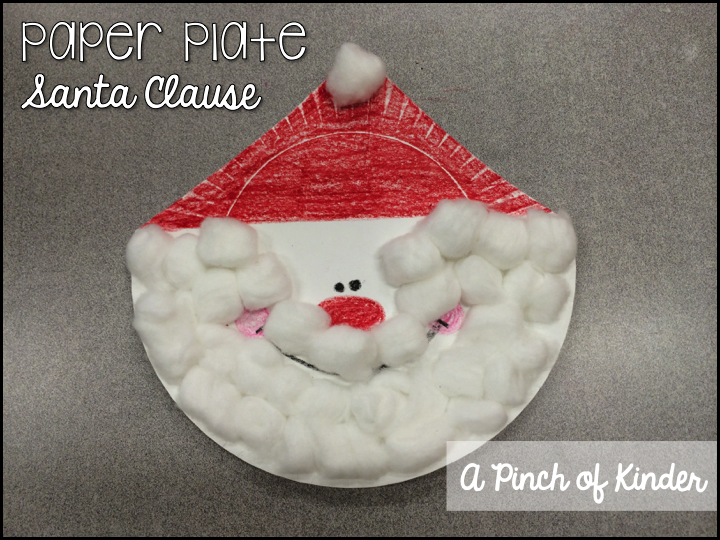 First up is Paper Plate Santa Clause! 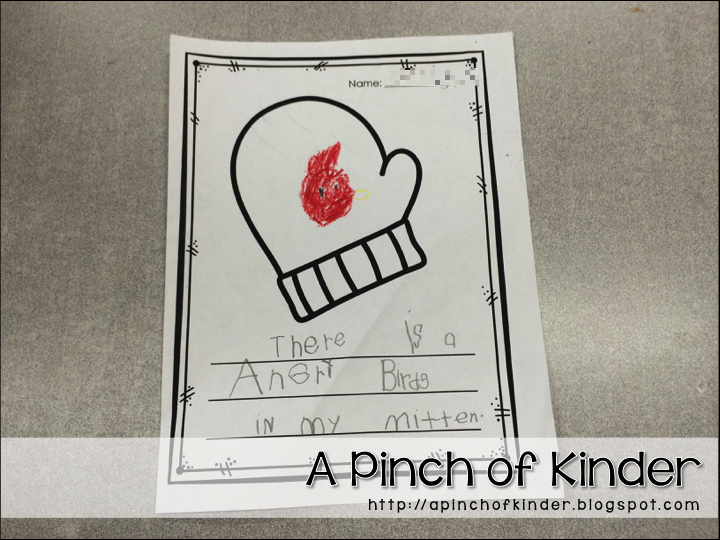 I got this craft idea from Pre-K Pages. 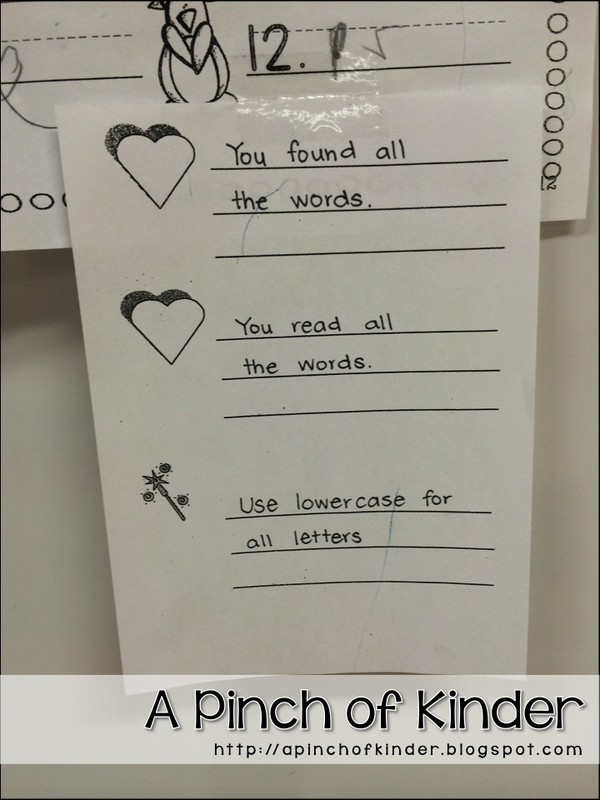 I got this idea from Mrs. Lee's Kindergarten. All you need is red, green, yellow and brown construction paper and some chalk! If you have paint I made the snow on my sample with white paint and q-tips and that looked good too! 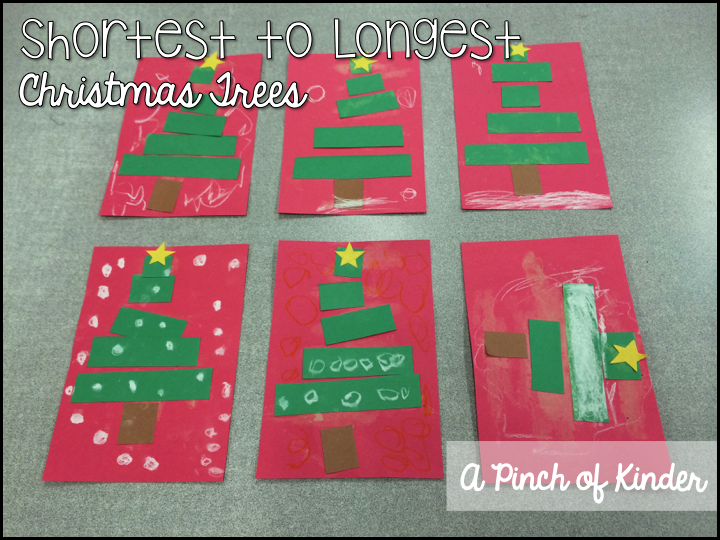 If it's the first time you are seeing these crafts, I hope you can add it to your Christmas craft arsenal for next Christmas!